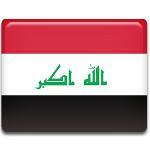 Republic Day in Iraq is annually observed on July 14. This is one of the Iraqi public holidays. It commemorates the day, when Abd al-Karim Qasim overthrew the Hashemite monarchy and became a new leader of the nation in 1958. Iraq, as a state, was founded on November 11, 1920, when it became a League of Nations mandate under British control. It gained independence from Britain in 1932, however, British military forces retained in Iraq on the request of King Faisal. The monarchy in Iraq existed till 1958, before the 14 July Revolution outbroke. The King Faisal II and members of his family were shot. His wife survived the injuries and managed to flee the country. Brigadier General Abd al-Karim Qasim seized a power in Iraq and became the first Prime Minister of the country. During the administration Qasim was popularly known as The Leader. July 14 was declared to be Republic Day in Iraq in 2005. A statue of Abd al-Karim Qasim was erected in the same year in the center of Baghdad.